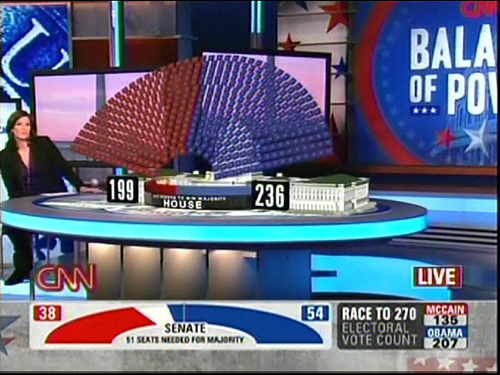 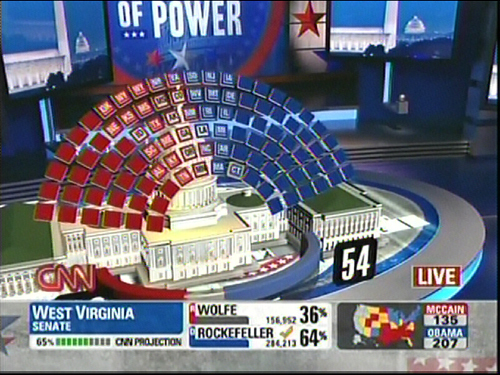 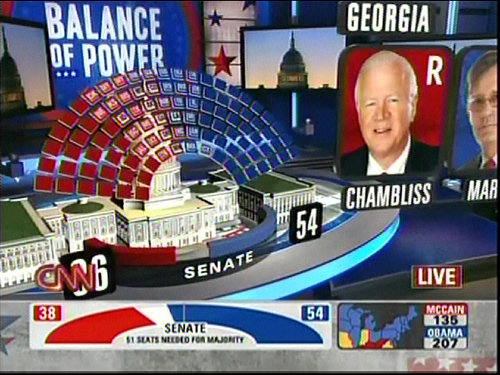 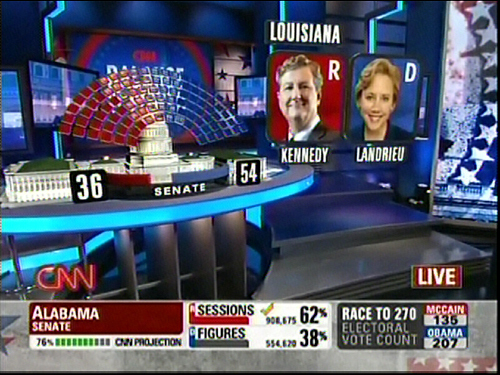 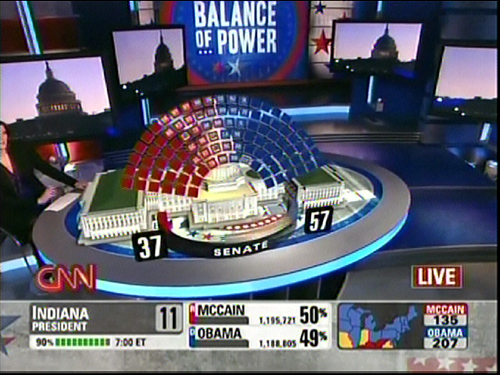 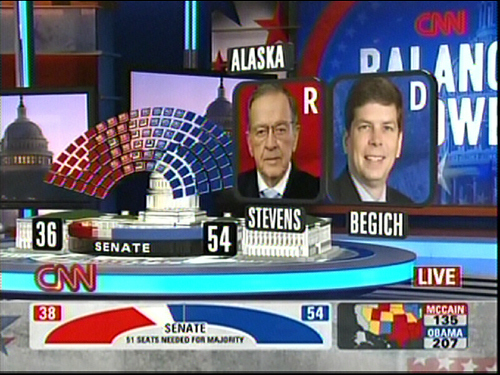 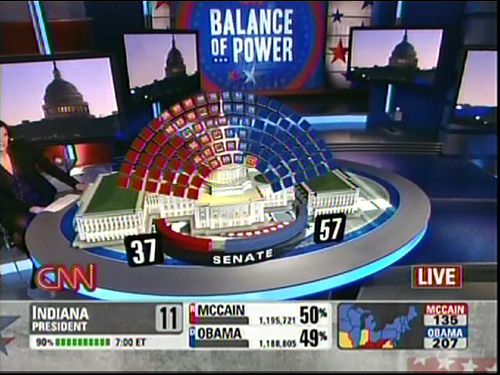 Here’s a look at CNN’s virtual Capitol that was used to show shifts of power in Congress throughout the night. 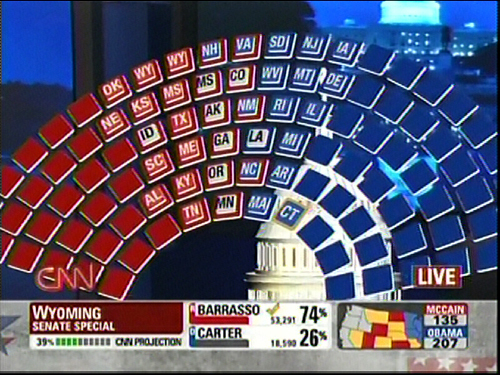 It’s an interesting idea, but other than a “cool factor” it doesn’t really add much to the presentation of the data. 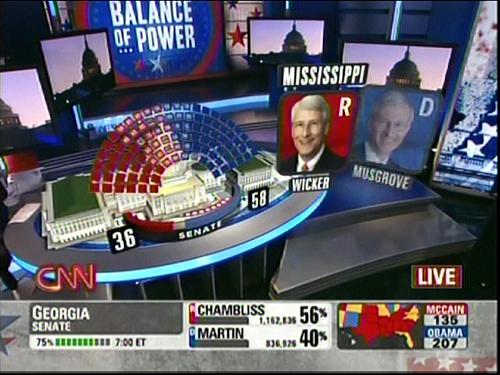 Really, it doesn’t do much more than a standard full screen graphic would do. 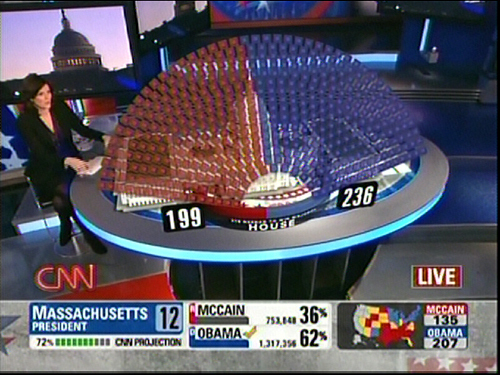 It would have been more interesting if CNN anchors interacted more with the animation, such as pointing to it; for some reason it doesn’t seem like they were able to. 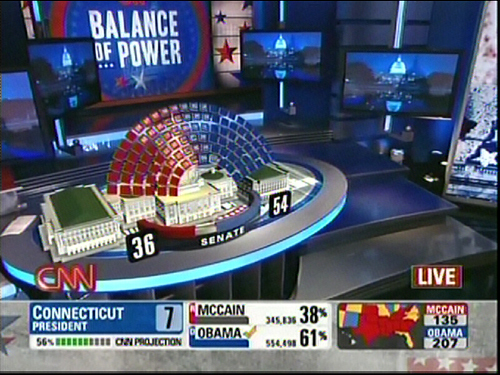 Another idea would have been to project it on the floor of the studio and allowed anchors to walk around it.